How Can Fluoride Varnish from My Dentist in Marysville Help Me? Tooth decay is one of the most common dental complications you face. It is estimated, 26% of adults and 20% of children under the age of 11 have untreated cavities. A cavity forms when the enamel becomes weakened due to exposure to acidic and sugary foods and beverages. Over time, holes form in the enamel, exposing the dentin. Now, a cavity has formed. Although cavities are common, they are easily preventable. Your dentist in Marysville can help combat tooth decay with many preventive treatments. At Darby Creek Dental, we often recommend a fluoride varnish to protect against cavities. Fluoride is vital to keeping the enamel strong to help prevent cavities, which is why it is included in many over-the-counter dental products and public water sources. In fact, it is known as “nature’s cavity fighter” because it not only keeps the enamel strong, but can help to reverse early stages of tooth decay. In addition to the fluoride you receive through dental products and drinking water, fluoride varnish from your family dentist in Marysville is equally as beneficial. This is a noninvasive treatment that reduces the risk for tooth decay. The varnish is a lacquer that contains a high concentration of fluoride. It helps to stop the demineralization of the enamel and supports remineralization to strengthen the teeth. After cleaning the teeth, we apply the varnish. With the varnish in place, it sets as soon as it comes into contact with saliva and the teeth. The entire process generally takes about 3 minutes. It is safe and effective for both children and adults. Despite the clear benefits of fluoride treatments, many have heard that it can cause cosmetic flaws on the teeth, known as fluorosis. Although very high levels of fluoride can cause white spots to develop, the risk is minimal. Those who have the highest risk are children under 8 who still have permanent teeth developing under the gums and receive very high amounts of fluoride over a long period of time. With the risk for fluorosis minimal but the risk for tooth decay so high, a fluoride varnish offers a smart choice to protect your family’s smiles from damage. Although tooth decay is quite common, it is fully preventable. With proper oral hygiene habits, like brushing twice a day and flossing daily, you can easily prevent the development of cavities. In addition, eat a well-balanced diet that is limited of sugars and starches. You also need to schedule a preventive appointment with your dentist twice a year. We provide the preventive care needed to reduce your risk for tooth decay. In addition to cleaning the teeth, we perform a comprehensive checkup to monitor the health of the teeth. This allows us to detect weakened areas of the enamel and cavities sooner from prompt treatment. To further help protect against tooth decay, we may recommend additional procedures, like fluoride varnish or dental sealants. To protect your smile from the damages of tooth decay, contact our office today to learn more about a fluoride varnish treatment. 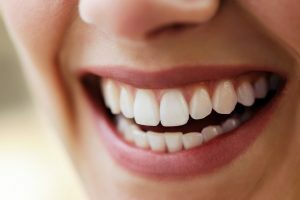 Comments Off on How Can Fluoride Varnish from My Dentist in Marysville Help Me?